Publisher LexisNexis has released the Halsbury’s Laws of Canada 2016 edition of Maritime Law written by Rui Fernandes. Gordon Hearn will be providing a Canadian perspective in an international panel discussion on “Conflicts of Law Issues in the Cross Border Carriage of Goods between Canada, the United States and Mexico” at the Chicago Regional Seminar of the Transportation Lawyers Association on January 20, 2017. Kim Stoll will be representing the Firm at the January 30-31, 2017 American Institute 6th Annual Forum on Admiralty & Maritime Claims and Litigation in Miami, Florida. The Marine Club Annual Dinner will take place on January 20th, 2017 in Toronto at the Royal York Hotel. The recent decision of Banford v. Mitchelson 2016 SKQB 328 illustrates how important it is for parties to have competent counsel as soon as possible after an accident, how witness testimony is important to a case, and the effects on a civil case of pleading guilty to a criminal charge. Connie Banford (“Connie”), was injured in a boating accident. Robert Mitchelson (“Mitchelson”), denied that he was the operator of the boat that caused the injuries to Ms. Banford. The Banfords owned a cottage on Saskatchewan Beach along Long Lake, in Saskatchewan. On Canada Day each year a fireworks display is put on at the village of Regina Beach. People watch the display from the water in their boats. It is not unusual to have some 200 boats in the water during the display. On July 1, 2005 the Banford family went to watch the fireworks. They left their cottage in their 18.5 foot Bayliner inboard boat. The Banford boat travelled to the Regina Beach Yacht club area and sat in a convoy of boats to watch the fireworks. Once the fireworks were over, the Banfords proceeded to the north side of the lake and trolled their way eastward to return to their cottage. The local cottage owners were putting on their own fireworks displays and the occupants of the Banford boat were going slow to take in these individual displays. When they were approximately one-half of the way home, another boat came up behind them, overtaking them. The other boat came up over the top of the Banford boat from right to left. In the process, Connie testified that the hull of the other boat collided with her and caused her to fall into the walkway of the Banford boat. As the boat came over the back of the Banford boat, a passenger on the Banford testified he was able to identify the name of the other boat on the side as a “Baja” boat with a white stripe. As a result of the collision, Connie suffered injuries. The other boat then left the scene. It was chased. The Banford boat caught up with the Baja vessel. Words were exchanged and the Baja vessel took off again. The following day, Banford boat operator Rhory Banford (“Rhory”) contacted the RCMP to report the incident. He had surmised the offending boat was from the cottage area immediately to the east of Saskatchewan Beach. He arrived at this supposition because the Banford cottage was at the very end of Saskatchewan Beach and the other boat was headed east. The Kannata Valley cottage area is immediately to the east of Saskatchewan Beach. In furtherance of this conclusion, Rhory and Connie proceeded to contact friends who had property in Kannata Valley to ask if they knew of anyone who owned a Baja boat in that area. They were told about Mitchelson, as he owned such a boat. A few days after the accident, Rhory drove his boat to the Kannata Valley area where he saw a Baja boat in a boatlift on the water. He indicated it had the same type of stripe on the side. He also indicated there was a mark on the hull of the boat that seemed consistent with the damage that would have been caused by the collision. Rhory testified this was the same man he had seen on the night of the accident. Rhory immediately went to the RCMP detachment in Lumsden to report what he had discovered. The man was Mitchelson. The RCMP charged Mitchelson with a violation of the Canada Shipping Act, 2001, SC 2001, c 26 and provided him with an appearance notice with a court date of August 22, 2005. Mitchelson testified that on the evening of July 1, 2005, he and his wife had travelled by boat from their cottage in Kannata Valley to watch the fireworks at Regina Beach. Following the fireworks display, he was proceeding back to their cottage. He was travelling at a slow speed. He was operating a Baja boat. While he was travelling, a boat came up to his boat and the occupants were yelling and swearing at he and his wife. He could not make out what they were saying. He thought the occupants might have been intoxicated. He left the area and proceeded home. Mitchelson was served with the statement of claim the civil action. He responded with a letter to the then lawyer for the plaintiffs and indicated he had not been in a collision. He took no further steps and the action was noted for default. Some years later, in 2012, the plaintiffs applied for judgment and MItchelson applied to dismiss the action, or, in the alternative, to set aside the noting for default. The court set aside the noting for default and allowed MItchelson to file a statement of defence. 1. What is the standard of proof in this civil proceeding? 2. What is the effect of the failure to call certain witnesses? 3. What is the effect of the defendant’s finding of guilt on the charge pursuant the Canada Shipping Act? 4. Has the plaintiff satisfied the standard of proof to establish the defendant was the operator of the boat? The court concluded that the plaintiff must place before the court clear and cogent evidence to show the allegation is more likely than not to have occurred; that is, on a balance of probabilities. Mitchelson denied he was the operator of the boat involved in the collision. He did not call his wife as a witness. The court may draw an adverse inference from a party’s failure to call a witness in a civil proceeding. A party is expected to call that evidence which will assist the court in determining the question in issue. Mitchelson denied an event occurred, in the face of the fact of an accident, by a Baja boat, and with two people positively identifying Mitchelson as the operator of the offending boat. Those witnesses identified Mitchelson and a woman as being the occupants of the offending boat. They indicated that the woman had dark hair. She would have been able to then testify as to all of the events of the night including the absence of an accident. On a perhaps smaller point, the defendant testified his wife has always had blond hair and denied her hair was dark on July 1, 2005. She could have testified to both confirm his point and thereby call into question the Banford’s powers of observation. There was no explanation provided for why Mitchelson’s wife was not called as a witness. It was established that at the time of trial, Mitchelson remained married to his wife and she was present at their home located immediately outside of Regina. There was nothing to suggest she was suffering from any disability that would have prevented her from testifying. I am compelled to draw an adverse inference from the defendant’s failure to call his wife to testify. I conclude there is evidence of Mrs. Mitchelson, concerning the boating accident, which would be unfavourable to the defendant. It is for this reason she was not called to testify. 3. What is the effect of the defendant finding of guilt on the charge pursuant the Canada Shipping Act? A prior conviction is to be considered as prima facie proof that the facts, which form part of the conviction, did occur. The opposite party is then provided with an opportunity to rebut those facts in the subsequent civil proceeding. In this case the judge held that in the circumstances it was appropriate to allow Mr. Mitchelson to dispute responsibility for the accident. It was not an abuse of process to permit that to occur. There was no evidence called at the criminal proceeding and accordingly, the finding of guilt was not as a result of the court reviewing any sworn testimony. The judge held that Mitchelson’s explanation for why he entered the guilty plea was an explanation that has been specifically recognized by the Supreme Court of Canada. In this case, Mitchelson testified he entered a guilty plea due to his economic circumstances. Essentially, he said it was cheaper to plead guilty, get a minimal fine and not have to take additional time off work to deal with the matter. There was no evidence tendered in the Provincial Court proceeding. Both of these individuals were cross-examined on previous affidavits they had filed in this proceeding which were inconsistent with their current testimony. On the previous occasion, Rhory swore the other boat immediately left the scene following the collision. He explained that this statement was not accurate and the boat did stop for a minute or two. g. Presence or absence of distinctive features of the suspect. Both Rhory and Shelley had an opportunity to observe the defendant on two occasions and Rhory saw him on a third occasion outside the cottage. Conditions for the first two observations were less than ideal: it was nighttime and there was limited illumination by lighting. However, there was some illumination by the rear mast lighting on the defendant’s boat. On the first occasion, the boats may have been 20 to 40 feet apart. In either case, this is not a great distance and it would be possible to make an identification. On the second occasion, the boats were directly side by side and it would have been even more possible to make an identification. While time was limited on each occasion, it may have been as much as two minutes, but appears to have been around the minute mark. I do not view this as an insignificant amount of time. Coupled with this, the defendant was operating a Baja boat. He was in the vicinity that evening. His actions in “just leaving” following the confrontation with the Banford boat appear odd in the circumstances. The failure to call Mrs. Mitchelson suggests her evidence would not have been favourable to Mr. Mitchelson’s case. His denial of involvement in the face of positive identifications, and a guilty plea based on the fact of an accident, calls out for evidence establishing his lack of involvement. Mrs. Mitchelson was this evidence. In all of the circumstances, the court was satisfied, on a balance of probabilities, that it was more likely than not that Mitchelson was the operator of the Baja boat that collided with the Banford boat. Damages were awarded to Connie Banford for her injuries. There are two recent decisions on the limitation of liability of a shipowner under the Convention on Limitation of Liability for Maritime Claims 1986that will be equally applicable in Canada. In Borko v. Cape Bari  UKPC 20 the Privy Council considered an appeal from the Court of Appeal of the Commonwealth of the Bahamas. The case involved a collision of the vessel Cape Bari with a sea berth during berthing operations. The collision resulted in damages to the berth of U.S. $22 million. The vessel owners claimed they were entitled to limit liability to 11,012,433 Special Drawing Rights (calculated by reference to the vessel’s gross tonnage), being approximately US$16.9 million. The berth owners denied that the owners were entitled to limit liability on the ground they had waived their right to do so under a contract that the parties had made immediately before the berthing operation. The contract was contained in or evidenced by a document referred to hereafter as “Conditions of Use”, which was signed by the master. The trial judge had held that the owners were not entitled to limit their liability because they had contracted out of their right to limit. The Court of Appeal reversed the decision of the judge on the grounds that, under the 1976 Convention, it was not permissible to contract out of the right to limit, even by entering into a contract of indemnity. The Privy Council had to consider (1) whether under 1976 Convention it was permissible for the owners to contract out of the right to limit (as both parties had acknowledged at trial) and (2) on the true construction of the Conditions of Use, whether the owners had done so (as found by the trial judge). e) it may be possible to exclude the right without express reference to the statute or convention, but the right must be clearly excluded, expressly or by necessary implication, such that a reasonable observer would agree that the owner agreed to waive it. The Privy Council set aside the Court of Appeal decision, holding that the right of limitation could be contracted out of. It held, however, that on a true construction of the “Conditions of Use”, the ship owners had not actually agreed to exclude their right to limit, as that right could exist alongside the contractual wording, with BORCO entitled to an indemnity “up to the maximum recoverable pursuant to the Convention”. The second decision out of the United Kingdom courts was the Atlantik Confidence case. In Kairos Shipping Ltd. v. Enka & Co. LLC  EWHC 2412 the vessel Atlantic Confidence sank and was lost after a fire in the engine room. The vessel was laden with cargo. The captain and the crew abandoned her in two lifeboats. The vessel owners contended that the loss was the result of flooding following a fire. The cargo claimant’s position was that the vessel had been scuttled owing to the owners’ financial circumstances. The court considered the evidence and concluded that the sinking was a deliberate scuttling performed by the chief engineer with the knowledge of the master on the instructions of the owners. A shipowner is entitled to limit his liability unless it is proven that the loss resulted from his personal act or omission, committed with the intent to cause such loss, or recklessly and with knowledge that such loss would probably result; see Article 4 of the Limitation Convention. The burden of proving such conduct lays upon the person challenging the right to limit, in this case, the cargo owners. That burden was described by Sheen J. in The Bowbelle  1 WLR 1330 as a “very heavy burden”, which description has been approved by the Court of Appeal in The Leerort  2 Lloyd’s Rep 291 and by the Privy Council in The Cape Bari  UKPC 20. The burden is “very heavy” because of the nature of the conduct which must be proved to break the right to limit. The burden was described by Lord Clarke in The Cape Bari at paragraph 14 as “a high hurdle to jump”. In Canada, the same descriptions have been made in the Peracomo case and the Siemens decisions (*1). ATLANTIK CONFIDENCE sank in deep water. The wreck has not been inspected with a view to determining the cause of the fire or the cause of the sinking. The available evidence as to mechanism is therefore limited and consists of surveys of the vessel prior to the final voyage, the observations of the fire by the chief engineer and second engineer and photographs of the vessel taken after the vessel had been abandoned and before she sank. In such circumstances it is inevitable that Cargo will be unable to give a full and complete account of the alleged scuttling (and unsurprising if the account changes as the litigation proceeds). That need not be fatal to Cargo’s case so long as, after examining all of the evidence, the court is able to infer that the vessel was scuttled on the instructions of Mr. Agaoglu. In deciding whether the court is able to draw such inference the court must keep well in mind that it is possible, especially where the evidence is limited, that the case may be one where Cargo is unable to establish its case with the result that the cause of the loss remains in doubt and the court is unable to make a finding as to the cause of the loss; see The Popi M  2 Ll. L. Rep. 1 at pp.3-6. The court heard oral testimony from the vessel owner Mr. Agaoglu, from Captain Toran, the chief executive officer or fleet manager of the owners, and Captains Taner and Mahmut, two deck superintendents. They and other fact witnesses were called by the owners. The court also heard a considerable amount of expert testimony. ATLANTIK CONFIDENCE was lost at sea after suffering a fire in the store room on the second deck of the engine room. It is more likely than not that the origin of the fire was in the store room and there is a real and substantial possibility that that fire was started deliberately in the doorway of the store room by spilling oil and igniting it. There is no more than a remote possibility that it was caused accidentally by reason of a fire originating from a leak of fuel oil at the no.2 generator. The engine room flooded. That flooding could have been caused deliberately and there is no more than a remote or unlikely possibility that it was caused by a crack in the shell plating resulting from thermal stresses caused by the fire. At about the same time the ballast double bottom tanks nos. 4 and 5 on the portside were flooded. That flooding could have been caused deliberately and there is no more than a remote possibility that it could have been caused by a flashover from the fire affecting the cabling to the ballast valve solenoid cabinet forward of the store room. Whilst the improbable can happen it is difficult to accept that three improbable events (an accidental fire, an accidental flooding of the engine room caused by the fire and an accidental flooding of two double bottom tanks on the portside caused by the fire) may have occurred in rapid succession to each other. This reasoning is frequently used in alleged scuttling cases. In addition to there being three improbable events the judge noted that those three improbable events were also preceded by a change of route into deep water, an indication of the intent to scuttle the vessel so it could not be found or raised. The Owners of the vessel had instructed the master to change the route of the vessel so that she sailed into deep water. The master and Captain Toran sought to hide that change of route. After it could no longer be hidden, they said it was justified by a risk of piracy when it was not. The court elaborated further on the reasons for finding a deliberate scuttling. The court therefore held that the loss resulted from the personal act of owners, which was committed with the intent to cause the loss incurred, and therefore refused the owners’ application for limitation decree. The recent decision of the Ontario Court of Appeal in Novatrax International Inc. v. Hägele Landtechnik GmbH (*1) provides an interesting illustration of issues that can arise with a forum selection clause in an international commercial contract. 1. What will a court do when faced with the situation where two parties enter into a contract agreeing on ‘forum selection’ in the event of a dispute, with one party later suing the other in a different forum, which draws the protest of the other contracting party? 2. Assume that the court is inclined to enforce the jurisdiction clause in such a case – requiring the plaintiff to revert to the ‘contracted forum’ for the dispute. What of the fact that the plaintiff sued third parties in the original law suit who were not ‘privy’ to the contract. What happens to those claims? Is the plaintiff then required to advance those claims in the ‘contracted forum’ as well, or should they proceed in the ‘disputed jurisdiction’ where the claim was first filed by the plaintiff? 3. If the action between the contracting parties is required to be moved to the ‘contracted forum’, and the claims against the non-contracting defendants are allowed to remain in the ‘disputed forum’, should the actions be allowed to proceed simultaneously or should the latter be stayed pending an adjudication of the former? In July 2006 Novatrax International Inc. (Novatrax) renewed an Exclusive Sales Agreement (the “ESA”) with the respondent, Hägele Landtechnik GmbH (“Hägele”) under which it would continue to distribute industrial reversible fans in Canada and the United States. Pursuant to the terms of the contract either party could terminate the ESA on 12 months’ notice, or without notice in specified circumstances. On November 24, 2009, Hägele notified Novatrax that it was terminating the ESA immediately for cause. In January 2010, Novatrax commenced an action for damages alleging wrongful termination of the ESA and willful misconduct giving rise to liability in tort against Hägele, and its principal officers Karl Hägele and Benjamin Hägele. Novatrax also added Cleanfix North America Ltd. (“Cleanfix”) to the action. Cleanfix was a related company set up by Hägele to sell its products directly into the Canadian and American markets. The defendants moved to “stay” the action, relying on the forum selection clause. They wanted to the dispute referred to Germany pursuant to the above clause. The motion judge who heard this motion granted the stay. Wishing to continue with its claims in Ontario, Novatrax appealed the decision to the Ontario Court of Appeal. Novatrax raised two issues on the appeal. It submitted that the motion judge erred in finding that the language of the forum selection clause (i.e. “to settle any disputes by a binding arbitration”) was broad enough to capture both the contract and tort claims pleaded by Novatrax against Hägele. It also submitted that the matter should not have been stayed as against the Karl Hägele, Benjamin Hägele, and Cleanfix defendants because they were not parties to the ESA containing the forum selection clause. Issue #1: Did the motion judge err in interpreting the scope of the forum selection clause? (iii) a breach of the duty of good faith in communicating the termination of the ESA to Novatrax’s employees and its financial lender. Novatrax argued that the motion judge erred by failing to find that it had shown strong cause not to enforce the forum selection clause. Novatrax pointed to the decision in Expedition Helicopters where the Ontario Court of Appeal stated that a factor, which may justify departure from the general principle of enforcing a forum selection clause, is where “the claim or the circumstances that have arisen are outside of what was reasonably contemplated by the parties when they agreed to the clause.”Novatrax contended that the high-handed and wrongful manner in which Hägele terminated the ESA was not contemplated at the time it entered into the contract, such that the forum selection clause should not be enforced in the circumstances. The Court of Appeal rejected this submission on three grounds. First, the scope of a forum selection clause is not determined by the professed subjective intention of one of the contracting parties at the time the contract was formed. Whether the nature of a claim lies outside of what was reasonably contemplated at the time the contract was signed turns on the interpretation of the forum selection clause in accordance with general contract law principles and how there is a connection between the nature of the claims pleaded and those covered by the clause. In this regard a basic contract law principle calls for the court to construct or interpret a contact on the basis of the objective manifestation of the contracting parties in the words they used in the contract and possibly in their mutual dealings leading up to the contract formation. Secondly, the forum selection clause required the parties to “settle any disputes by a binding arbitration…in Frankfurt.” The Court noted that contractual disputes could arise in respect of any stage in the life of a contract: in its formation, performance, termination or expiration. Novatrax’s contractual claims against Hägele concerned the performance and termination of the ESA. The language of s. 18 of the ESA is broad enough to include, within the term “any disputes”, claims relating to any stage of the ESA’s life-cycle, including the wrongful termination and breach of duty of good faith claims pleaded by Novatrax. [A] court, in the context of an application for a stay to uphold a forum selection clause … must not delve into whether one party has deviated from, or fundamentally breached an otherwise validly formed contract. Such inquiries would render forum selection clauses illusory since most disputes will involve allegations which, if proved, will make the agreement terminable or voidable by the aggrieved party. In this case, Novatrax’s claims of wrongful termination and breach of the duty of good faith all concerned the performance and termination of the contract between the parties. The Court found that those claims all clearly fell within the scope of s. 18 of the ESA. The motion judge found that the forum selection clause was operative “not only [as to the] breaches of contract stemming from the agreement in which such clauses are found, but also [as to the] related tortious causes of action arising out of the same circumstances.” Novatrax asserted that the motion judge erred in staying its tort claims raised against Hägele. In this regard the Court of Appeal found no error in the motion judge’s conclusion. It is well-established that a broad forum selection clause covering “any disputes” applies not only to contract claims, but also tort claims, such as misrepresentation, interference with economic relations and civil conspiracy that arise from the contractual relationship: Crown Resources Corporation S.A. v. National Iranian Oil Company (*6). Issue #2: Did the motion judge err in staying the action against Karl Hägele and Benjamin Hägele and Cleanfix, who were not parties to the ESA? The ruling by the Court of Appeal on this issue resulted in a “split”: one position was taken the “majority” (i.e. two out of the three judges) with the third “dissenting” judge disagreeing on the outcome of this issue. As in any other such case, the finding of the “majority” carried the day. Novotrax submitted that the conduct of Karl Hägele, Benjamin Hägele and Cleanfix were not within its reasonable contemplation when the ESA was made and that the judge erred in concluding that the language of the forum selection clause was broad enough to encompass the claims pleaded against them. The majority did not accept this submission, noting the principle cited above that a forum selection clause pervades a forum non conveniens analysis and must be given full weight in the consideration of other factors. Even though Cleanfix and the individual respondents were not parties to the ESA, the claims pleaded against them all arose out of the same transactions and occurrences and raise common questions of fact and law linked to the claims pleaded against Hägele. The factually-intertwined nature of the claims pleaded by Novatrax against all respondents required that the forum selection clause drive the stay analysis. It should be noted that the dissenting judge disagreed with this result, noting that it would be tantamount to adopting the proposition that a party who has not agreed to arbitration with another can be forced to arbitrate its claims against that party. Accordingly, the practical effect of the motion judge’s exercise of his discretion in the present case was to require the issue of whether Hägele had wrongfully terminated the ESA to be decided first in an arbitration. That exercise of discretion is entitled to considerable deference on appeal absent an error in principle, misapprehension of the evidence, or unreasonable decision: Lapointe Rosentein Marchand Melançon v. Cassels Brock (*8). Accordingly, the majority held that the motion judge did not commit any error nor did he reach an unreasonable result by including the claims against Cleanfix and the individual defendants within the ambit of the stay. The majority dismissed the appeal and Novatrax would now have to pursue all of its claims in arbitration in Germany in accordance with the forum selection clause. While the majority opinion reviewed above carried the day, it is always instructive to consider the views of a dissenting judge so as to gain a full appreciation of matters. This judge agreed that, on the first issue, the motion judge was entitled to find that the appellant failed to show strong cause why the choice of forum in the contract should not be enforced, and was therefore correct to stay the plaintiff’s claims against Hägele in Ontario. This judge however disagreed with the majority’s decision to uphold the motion judge’s order that the appellant’s claims against the non-contracting defendants should also be stayed and referred to arbitration in Germany. The court in that case accordingly had a basis to conclude, despite the fact that two defendants were not privy to the agreement containing the choice of forum and arbitration clauses, that “on the state of the pleadings”, the claims against all the defendants should be subject to the forum jurisdiction clause. The dissenting judge in this case found that such an element of inferred ‘consent’ on the plaintiffs part was missing. Unlike the Momentous.ca case, there was no acknowledgement by the plaintiff on the face of its claim that, if and when the forum selection clause would be enforceable as concerns the ‘contracting defendant’, then it would be enforceable as against all defendants as an ‘all or nothing’ proposition. By comparison, the statement of claim in the present case dealt separately with the claims against the corporate respondent Hägele for breach of contract and wrongful termination of the ESA. It then made claims against all of the other defendants for other (i.e. tortious) conduct. The dissenting judge noted that she would adopt this principled approach. Turning to the first factor, the issue to be determined in the arbitration was whether the corporate respondent Hägele wrongfully terminated the ESA with Novatrax. According to the statement of claim, the agreement provided for ordinary termination if either party gave 12 months’ written notice, as well as for extraordinary termination without notice in particular circumstances. It was alleged that Hägele’s termination was not in accordance with the contract. It was also alleged that the termination was part of a deliberate strategy to obtain control of sales in the North American market. It was only this latter claim, if pursued, that could involve some or all of the same issues as are pleaded against the other defendants. There would therefore be some risk of inconsistent verdicts if that claim was pursued in the arbitration, as well as in the Ontario action. That risk would depend on how the plaintiff chose to proceed with the arbitration in Germany. The appellant could well decide to limit its claims in the arbitration to breach of contract and wrongful termination, and to pursue the issues arising out of the conduct of the principals of the company and Cleanfix only in the Ontario action. That being said, the result of the arbitration in Germany would not dictate the result against the individual defendants and Cleanfix in the Ontario action. That is, even if the arbitrator determined that Hägele rightfully terminated the agreement without notice, it was possible that a court here could find that the actions of the individual defendants and Cleanfix were wrongful under Ontario law. The second factor was whether there would be an injustice to the individual defendants and Cleanfix if the Ontario action were continued. There could be some duplication of witnesses, depending on how the appellant proceeded in the arbitration, as well as the timing of the arbitration and the action. However, that was one possible consequence of including a wide-ranging arbitration clause in a contract between two parties where disputes may arise that also involve others. In the dissenting judge’s view, the defendants had not demonstrated that they would suffer an injustice if the Ontario action were to continue. Everything that occurred, as well as Cleanfix’s ongoing business, was in Ontario. Many likely witnesses were in Ontario, and therefore would not be inconvenienced in terms of travelling. In fact, the defendants conceded before the motion judge that, if a traditional forum non conveniens analysis were applied, Ontario would be the more convenient and appropriate forum to litigate this dispute. As to the third factor, and whether the defendants had demonstrated that a stay would not cause the plaintiff an injustice, the plaintiff alleged that its business has been ruined. The defendants had proceeded to carry on that business in Canada to the exclusion of the plaintiff. There would already be significant expense for the plaintiff to proceed with arbitration with Hägele in Germany. The plaintiff’s claims against the other defendants were made in accordance with the law of Ontario. Whether such claims also existed under the law of Germany was not known. The fact that another law would apply to these claims if they were arbitrated in Germany was at first blush prejudicial to the plaintiff, who did not agree with those defendants to that choice of law, and was therefore entitled to sue in Ontario. Accordingly, in the view of the dissenting judge, there would be prejudice to the plaintiff if a stay was ordered of its claims against the individual defendants and Cleanfix. Accordingly the dissenting judge held that the motion judge erred in law by referring claims to arbitration in Germany against the defendants with whom the plaintiff made no agreement at all and no agreement to arbitrate, depriving the plaintiff of its right to litigate those claims in Ontario under Ontario law. The dissenting judge would have allowed the appeal in part, and set aside the stay of the claims in the Ontario action against the non-parties to the ESA. (*5) From time to time a defendant may dispute the plaintiff’s commencement of a law suit in a particular forum on the basis that it is not as convenient or appropriate for the matter as another jurisdiction. For example, a majority of witnesses may reside elsewhere, or a different law might govern the dispute that than of the forum selected by the plaintiff. The defendant might this invoke the doctrine of forum non conveniens in asking the court to exercise its discretion to ‘stay’ the action in favour of it being commenced in the other jurisdiction. The point raised in the case law here is that it will be a rare situation where in the face of a valid forum selection clause that a defendant will be able to convince a court to employ its jurisdiction to refer a case elsewhere simply because the other location is then considered to be more convenient for the litigation. (*8) 2016 SCC 30 (CanLII) at para. 54. The Federal Court of Appeal recently heard appeals of three cases brought by the Attorney General in respect of decisions from the Canadian International Trade Tribunal (“CITT”) (*1). The fact pattern in each matter was essentially the same. Goods were imported into Canada under a tariff classification that entitled them to enter the country duty-free under Most Favoured Nation (MFN) tariff treatment (*2). The respective customs brokers each therefore declared the goods upon their entry as being subject to 0% rated MFN tariff treatment. This was notwithstanding that the goods could have alternatively been entered into Canada on a 0% basis pursuant to United States Tariff (“UST”) treatment pursuant to the North American Free Trade Agreement (NAFTA) (*3). Although in each case, the goods were of United States origin, either for reasons of convenience or by virtue of the absence at the time of entry of a Certificate of Origin as required to claim NAFTA tariff treatment, the MFN treatment was used and was in any event equivocal given the 0% rate applicable to the goods as classified. Subsequently, in each case, the Canadian Border Services Agency (“CBSA”) performed audits, which established that the goods had in fact been improperly classified (*4). The reclassification of the goods did not entitle them to enter into Canada on a duty free basis under MFN tariff treatment, although they would indisputably have been eligible for 0% rating if they had been entered under UST treatment, as they were entitled to be, at the time of entry into Canada. The CBSA denied the importers the right to amend the tariff treatment on a revenue-neutral basis such that the net effect of the reclassification and revised tariff treatment was to uphold the duty free entry. Rather, CBSA assessed the MFN duties applicable to the goods. This was far from a new situation or indeed dispute for the CBSA. In fact, the exact same legal question had arisen in 2012 with respect to a case involving Frito-Lay Canada Inc. (“Frito-Lay”), which was decided in January 2013 (*5). In Frito-Lay, CITT denied the argument by CBSA that in order for a tariff treatment to be revised for a more favourable treatment, the one-year limitation period prescribed by s. 75 of the Customs Act (“the Act”) had to be respected (*6). S. 74 of the Act refers to the time during which a refund can be claimed by an importer with respect to duties paid. CITT held that this provision was inapplicable since no moneys were being returned to the importer in the case of a revenue neutral tariff treatment amendment arising out of a tariff classification revision. Although CBSA commenced appeal proceedings before the Federal Court of Appeal with respect to CITT’s decision in Frito-Lay, the Agency ultimately discontinued its appeal. However, rather than abiding by the principles espoused by CITT in its decision, CBSA proceeded to handle further cases in exactly the manner that had been reversed in Frito-Lay. This course of action led to three importers filing appeals to the CITT against decisions reached by CBSA, the three cases commonly being referred to as the “Bri-Chem trilogy” (*7). The trio of cases was heard together by CITT in May 2015 with the appealing importers being represented by the same counsel as had successfully acted against CBSA in Frito-Lay. CITT rendered a decision in September 2015 which resolutely chastised the CBSA for its dogged refusal to follow the decision in Frito-Lay, holding that “CBSA knowingly frustrated importers from the applicability of Frito-Lay……. (and) created or applied a deliberate policy designed to ignore Frito-Lay. CITT further held that the CBSA was guilty of an abuse of process that was deliberate and elaborate and which had no bona fides basis. In this case, the CBSA followed through with its appeal to the Federal Court of Appeal (*8). However, this forum was no more amenable to the arguments of the CBSA than had been the CITT in Frito-Lay or Bri-Chem at first instance. The Federal Court of Appeal likewise heard the three cases on the same point of law concurrently and confirmed that the CITT’s decisions would be subject to judicial review pursuant to a reasonableness standard, owing to the “particular familiarity of CITT with the Customs Act” (*9). Stratas J.A. for the Federal Court of Appeal however went further in holding that the decision of CITT was not only reasonable but was in fact correct. Although the Attorney General reiterated its position that it is not incorrect for an entry to be declared under an MFN tariff treatment, and therefore an importer could not rely upon the correction provisions found at s. 32.2 of the Act, the court was dismissive of the argument that the importer should be forced to resort to the refund provisions of s. 74 of the Act, and thereby be limited by the one-year limitation provision. The court also dismissed arguments premised on United States case law that interpreted domestic legislation from that jurisdiction. Stratas J.A. made a broadly applicable statement of the “hierarchical relationship” between tribunals and administrators. The court set out two alternative case scenarios where an administrator may make a bona fide decision to elect not to apply a prior tribunal decision to new scenarios. Either the administrator must be able to (1) point to material factual discrepancies between the two or cases; or (2) where a significant flaw is found in the tribunal’s reasoning which can be brought to the attention of the tribunal upon a further hearing. In this case, neither of these alternative thresholds was satisfied. The CBSA had simply sought to re-litigate the same issues and relied upon the same lines of argument in Bri-Chem as had already been dismissed in Frito-Lay. The court however did deny the responding parties from claiming their costs on a solicitor-client basis given that the court could only assess the conduct of the litigant as before the court and not as before the Tribunal. (*2) MFN treatment is the cornerstone principle of the World Trade Organization and the first article of the General Agreement on Tariffs & Trade (GATT); it is the rule whereby countries do not discriminate amongst their trading partners. (*3) The free trade agreement between Canada, Mexico and the United States is in force pursuant to the North American Free Trade Agreement Implementation Act (S.C. 1993, c. 44). (*8) The Federal Court of Appeal is the first court to which decisions of the CITT are referred on a judicial review application pursuant to s.68 of the Customs Act. In Holman v. Oberg et al. 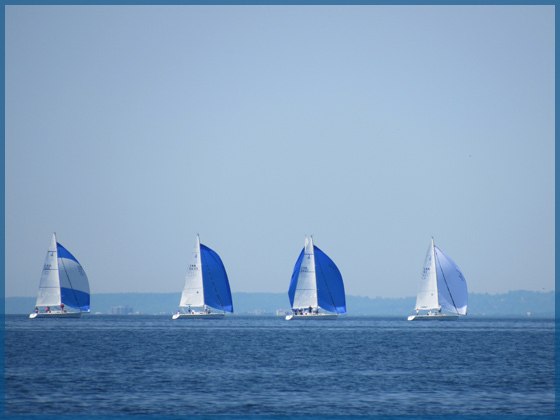 (“Holman”)(*1), a Master of the Alberta Court of Queen’s Bench recently had an opportunity to address the exposure of pleasure craft owners for liability to third parties who suffer injuries due to the insufficient equipping of their boats. Catherine and Lester Holman owned a pontoon boat, constructed by Lester. It had lights, but they were not working. It is not known whether the lights would have been compliant with the regulations to the Canada Shipping Act, 2001 (*2) even if they had been working. Nonetheless, they had been fixed earlier in the season. The Holmans said that they were unaware that the lights were out again. At an evening cottage party, the Holmans’ adult son, Michael, had gone for a swim with another person. Afterwards, they retired to the couple’s boat. While Michael was sitting in the captain’s chair with a cigarette, they were hit by another boater, Vernon Oberg, who had not seen them. Michael suffered injuries. He subsequently sued Mr. Oberg and others, including Wizard Lake Marine, which owned Oberg’s boat. Mr. Oberg and Wizard Lake Marine added Catherine and Lester Holman as Third Party Defendants, claiming that they were contributorily liable for the accident, including because the boat lacked working lights. Master Schlosser was tasked with addressing a motion to dismiss that claim summarily. Before 2001, by virtue of the former Canada Shipping Act (*3), a defendant owner was required to show an absence of “actual fault or privity”. Courts required that the boat be seaworthy, properly equipped (with lights and navigational aids, etc. ), and appropriately crewed. In effect, it was not enough for the owner to merely show an absence of a direct connection between himself and the wrong. He had to show an absence of actual fault. The Court in Holman implied that it followed the reasoning of the BC Court of Appeal in Vukorep v. Bartulin (“Vukorep”)(*4). In the Vukorep case, a boater had failed to see large waves created by a BC Ferry boat in the distance, as he had become distracted by a waterskier to his port side. One of his passengers slipped and fell as a result of the defendant’s failure to adjust course accordingly. The Court of Appeal rejected the trial judge’s finding that the operator was negligent for failing to have installed an after-market handrail, which was not proven to have been standard in the boating community. In effect, there was no direct, actual fault. However, the Court was explicitly applying the old law under the now-defunct Canada Shipping Act, since the accident had taken place in 1998. In the circumstances of the Holmans’ case (after the statutory repeal), the Court was similarly prepared to find that the Holmans had discharged the “heavy burden” of proving an absence of any actual fault or privity. Michael’s decision to take the boat out in its unlit condition was sufficient to break the chain of responsibility and to absolve them. This was so even despite the Master being skeptical of the Holmans’ assertion that they were unaware that Michael had gone aboard at the time of the accident. By finding a lack of “actual fault”, the Court effectively also neutered any argument for liability under a standard negligence analysis, where it would address whether there was a relationship of proximity and a duty of care; and, if there was a duty, whether it was met to a satisfactory standard. Since there was no actual fault, the rest of the analysis was moot. It implied no “causation” (i.e. no causal connection, without a breakage). However, rather than an ordinary negligence analysis, the court considered the concept of “vicarious liability” at common law (i.e. the liability of innocent parties for the wrongs of others). Of course, that concept has existed in certain areas of the law, but not in the world of boat owner liability to third parties. Thus, the Master concluded that it would be better for “vicarious liability” to be imposed by statute rather than by incremental judge-made law (*5). Maritime law now lies somewhere in-between direct and vicarious liability. While the law does not impose vicarious responsibility per se, it does require an absence of actual fault or privity on the part of the owner. To impose it [liability] in this context also seems contrary to the idea that the ‘captain is the master of the vessel’ and also, more recently, the requirement of all pleasure boat operators to pass a test and be licensed; both of which suggest an emphasis on the individual responsibility of the operator, rather than that of the owner (*6). The result is unsatisfying. If a direct causal connection can be refuted, so much the better for a defendant: he will be absolved. However, where there is fault (or “causation”), it is entirely unclear what standard will apply. For example, if the Holmans had been aware that the lighting could go out on their pontoon boat, would they have been liable in the circumstances? Whether the “vicarious liability” concept of the Alberta Court will gain any traction is still unclear. However, it is apparent that the jurisprudence is likely to keep in line with Vukorep to the extent that an owner will have serious exposure to liability when his boat is poorly equipped, even if he is not aboard at the time of an operator’s mistake. (*8) The Atkinson decision also discusses a requirement for the owner to have given consent to the operator in order to be found at fault, at para. 98 et seq, which is beyond the scope of this article. In the recent decision of AGF Steel Inc. v. Miller Shipping the Federal Court determined that the Hague-Visby Rules do not apply to charter-party agreements (*1). The Plaintiff AGF Steel Inc. (“AGF”) and the Defendant Miller Shipping (“Miller Shipping”) entered into a written agreement entitled the “Time Charter Party”, which provided for the movement of 43,000 metric tons of steel rebar by water from Sorel, Quebec to Long Pond, Newfoundland over 6 voyages by the tug “Western Tugger” and the barge “Arctic Lift 1” (“the Contract”). During the third voyage, the Arctic Lift 1 capsized on the south coast of Newfoundland, causing the total loss of over 7,000 metric tons of steel, valued at over $8,000,000. Clause 18.2 of the Contract stipulated that both AGF and Miller Shipping, with respect to its own property, be liable for all loss and/or damages that it may suffer in connection with the Contract without regard to cause or negligence of either party to the Contract. This is known as a “knock for knock” risk allocation term. Clause 19.5 provided that AGF would obtain Marine Cargo insurance covering “all risks” of physical loss or damage. As a result of the loss of its Cargo, AGF brought an action in Federal Court against Miller Shipping for damages in excess of $8,000,000. In response, Miller Shipper brought a summary judgment application stating there was no genuine issue for trial. Miller Shipping’s central argument was that Clause 18.2 of the Contract excluded their liability in contract or tort. AGF responded that the Contract was a contract of carriage by water, which is captured by subsection 43(2) of the Act, and thus subject to the Hague-Visby Rules. Subsection 43(2) of the Act incorporates the Hague-Visby Rules for all contracts “for the carriage of goods by water from one place in Canada to another place in Canada…unless there is no bill of lading and the contract stipulates that those Rules do not apply”. This is critical because where the Hague-Visby Rules apply, parties are prevented from agreeing to terms that exclude or limit liability to an amount less than provided for in the Hague-Visby Rules, as contemplated by the Section 18.2 ‘knock for knock’ clause of the Contract. As such, in order to be successful on the summary judgment motion, Miller Shipping had to establish that the Contract was a “charter-party agreement”. If the Contract was found to be a charter-party agreement, it would not be caught be subsection 43(2) and would not be subject to the Hague-Visby Rules, meaning the parties could be free to negotiate their own terms with respect to liability for any losses that may occur in the performance of the contract. Miller Shipping relied on the form of the agreement (its title and description of the parties), as well as the fact that the Contract called for the hire of a ship. With respect to whether the Clause 18.2 ‘knock for knock’ clause should be enforced in the event that the Court found the Contract to be a charter-party agreement, Miller Shipping argued that themselves and AGF were sophisticated commercial entities who should be held to their bargains. Alternatively, Miller Shipping asserted that Clause 19.5 excluded their liability as it was an undertaking by AGF to insure the Cargo, which should have the effect of relieving the beneficiary of the undertaking from liability for loss or damage of the property. With respect to Clause 19.5, AGF submitted that because Clause 19.1 required that Miller Shipping take out its own insurance sufficient to cover its own liability, and as its liability for lost cargo was covered by this insurance, there was no reason why the cargo insurance taken out by it should be deemed to cover the same liability. Moreover, AGF submitted that Clause 19.5 only meant that AGF would pay the premiums on the insurance and does not show an intention of AGF to waive its rights of action or subrogation. The Court found that the Contract between AFG and Miller Shipping was a charter-party agreement. The Court relied on the Federal Court of Appeal decision of T. Co. Metals L.L.C. v. Federal EMS (Vessel), in which the Court had outlined the three situations when a contract for the transportation of goods by water is properly characterized as a charter party (*3). One of these three situations, known as a voyage charter-party, is found where a specific ship or type of ships is hired for one or more voyages. The other two situations; a “bareboat or demise charter” provides for the hire of an unmanned ship, and a “time charter-party”, which is a contract for the hire of a fully manned ship for a specific duration. The Court found that the Contract in this instance contemplated the hire of a tug and barge to transport Cargo, and was properly characterized as a voyage charter-party. The Court appeared to be influenced by the “form” of the Contract, meaning the actual wording used on the Contract. The Court made reference to the fact that the second page of the Contract was titled “Time Charter Party” and the fact that AGF was defined as the “Charterer”. Given that the Contract was a charter-party, the Hague-Visby Rules did not apply and the Court found that the parties were at liberty to negotiate the terms about their respective liability under the Contract. The Court was unwilling to decide whether Miller Shipping was able to rely on Clause 18.2 to exclude its liability. The Court ruled that there was insufficient evidence on the motion to confidently determine their respective rights and liabilities of the parties. The Court stated that questions of contractual interpretation are questions of mixed fact and law, and where the questions of law cannot be clearly isolated, those questions should not be decided summarily. The Court’s decision re-affirms that when a shipper and ship-owner enter into a charter-party agreement, as opposed to a traditional contract for the carriage of goods by sea evidenced by a Bill of Lading, it will not be captured by Section 43(2) of the Act and the Hague-Visby Rules will not apply. This gives commercial parties, both shippers and ship-owners/carriers, the ability to structure their affairs so as to avoid the application of the Hague-Visby Rules and assign the risk of loss or damage pursuant to their own agreements. Of course, this gives commercial parties much more autonomy. On the other hand, parties entering into a charter-party agreement need to be aware that they will not be subject to any protections that they may have otherwise had under the Hague-Visby Rules. A carrier, for example, would not be able to rely on the limitation of liability provisions under the Hague-Visby Rules and may be exposed to the full value of lost or damaged cargo under a charter-party agreement. The Court also provided some guidance on the difference between a charter-party agreement and a contract for the carriage of goods. The Court noted that in this case, both the “pith and substance” of the agreement was that of a charter-party agreement. With respect to the “pith” of the agreement, the Court was influenced by the language of the agreement, as discussed above, such as the fact that the agreement was titled “Time Charter Party” and the fact that AGF was defined as the “Charterer”. With respect to the “substance” of the agreement, the Court found that the agreement contemplated the hire of a tug and barge, as opposed to merely the transportation of goods from one point to another. Commercial parties entering into transportation agreements should take this into account when attempting to frame their agreement as either a charter-party agreement or as a contract for the carriage of goods, as the case may be. Finally, from a procedural perspective, the decision provides guidance as to when summary judgment in the Federal Court is attainable. The Court commented that although the widely circulated Supreme Court of Canada decision of Hryniak v. Mauldin (*4) (wherein the Supreme Court of Canada commented upon the availability of summary judgment under the Ontario Rules of Civil Procedure, R.R.O. 1990, Reg. 194) serves as a reminder to the Federal Court of certain principles resident in the Federal Court Rules, it does not materially change the procedures or standards to be applied in summary judgment motions brought in the Federal Court under Rule 215(1). Justice Harrington of the Federal Court was recently tasked with resolving a priority dispute amongst various creditors in the context of a ship arrest and sale. In this case, Verreault Navigation Inc. v. 662901 N.B. Ltd., 2016 FC 1281, the owner of a tug, the Chaulk Determination, and a barge, the Chaulk Lifter, fell into financial difficulty. The tug sank and was abandoned, at which point creditors arrested and sold the barge. Chief among the creditors was the plaintiff, Verreault Navigation Inc. (“Verreault”) on account of various work it had performed on the Chaulk Lifter. The sale generated a fund of only $600,000.00 with which to satisfy the claims of the various creditors, which totaled several million dollars. This decision, along with another recent decision (also by Justice Harrington, Ballantrae Holdings Inc. v. The “Phoenix Sun”, 2016 FC 570 (F.C.) (*1)), provides a further example of how Canadian courts will deal with priority disputes amongst various creditors in maritime actions. Creditors in similar circumstances should expect results similar to the outcomes in these cases. The Chaulk Determination and Chaulk Lifter were both owned by 662901 N.B. Ltd. (the “Company”), which had been incorporated in March 2012. The sole officer and director of the Company was David Chaulk. The Chaulk Determination and the Chaulk Lifter arrived at the Port of Trois-Rivieres, Quebec, on November 27, 2013. On March 30, 2014, the Company issued a promissory note to David Chaulk’s brother, Brent, in the amount of $305,000.00. The note stated, “security is in the form of a marine mortgage on the vessel Chaulk Lifter”. On June 15, 2014, the Company issued another promissory note to David Chaulk’s father, Morris, this time in the amount of $42,000.00. It also stated that security was in the form of a mortgage on the Chaulk Lifter. Harbour dues were never paid on either vessel, and consequently the Port of Trois-Rivieres issued a detention order against both vessels on June 26, 2014. A single mortgage in favour of Brent and Morris Chaulk in the amount of $347,000.00 was then registered on July 18, 2014. Then, on August 20, 2014, the Company worked out an arrangement with the Port of Trois-Rivieres, in which some of the harbour dues owing were paid. The Company granted the Port another mortgage for $57,305.27. In exchange, the detention order was lifted. Brent and Morris Chaulk gave priority to the Port’s mortgage. The Chaulk Lifter then arrived at Verreault’s yard at Les Méchins on October 7, 2014, in order to have some work carried out. Unfortunately, soon after, the Company defaulted on the Port’s mortgage. As a result, the Port arrested the Chaulk Lifter on December 12, 2014, while she was in drydock. The Chaulk Lifter remained in Verreault’s possession while the Chaulk Lifter was under arrest. The Chaulk Determination then sank on December 26, 2014. Verreault then commenced its action against the Chaulk Lifter, during which the barge was ordered sold on June 23, 2015. The sale was completed on August 4, 2015, for $600,000.00. Of the total pool of $600,000.00, the Court first dealt with certain undisputed claims, as follows. First on the list was the claim by the acting marshal for his fees and expenses in dealing with the sale of the Chaulk Lifter. This claim was in the amount of $42,395.19 and had previously been allowed in full by the Court. Next, the Court considered claims by both the Port and Verreault for additional expenses incurred in arresting the vessel, commencing the action and converting her into a fund against which all of the creditors could claim. In this case the Court found that such costs should be divided in two, since the Port had initially arrested the barge but Verreault had brought her to sale. The Port’s costs had already been paid; Verreault’s costs, in the amount of $3,306.23, were awarded. The Court then awarded two additional claims that were granted priority under various provisions of the Canada Marine Act. First, Transport Canada was paid $37,155.70 for outstanding harbour dues, and for the cost of repairing damage to its dock at Les Méchins, which had been struck by the Chaulk Lifter. Second, the Port of Trois-Rivieres was paid $57,305.27 for harbour dues unrelated to the mortgage, and its costs. Accordingly, after the above claims had been paid out, $463,143.84 plus a small amount of interest remained with which to satisfy all remaining creditors. Verreault obtained judgment against the Chaulk Lifter and the Company in the amount of $217,551.67, with pre- and post-judgment interest and costs. The judgment covered the cost of the various services and work that Verreault had performed on the barge. In addition, Verreault claimed for several additional amounts including wharfage, various movements of the barge, fuel supply and inspections. Verreault’s total claim was in the amount of $373,726.98. Justice Harrington had no difficulty finding that Verreault enjoyed a possessory lien over the barge, which outranked the mortgages. He allowed Verreault’s claim virtually in its entirety, subject to a few deductions. In total, the Court found that Verreault was entitled to $324,839.01 of the remaining funds. In total, the Port claimed $316,468.83 against the Company and the barge. $56,305.83 was the amount of the mortgage that it held on the Chaulk Lifter. The balance of $210,181.00 was for sums owing in respect of the Chaulk Determination, for wharfage, clean-up and removal (having been abandoned by her owners after she sank). The Court decided that in this case, the Port’s mortgage claim would rank above that of the other Chaulk family members. Thus, The Port was entitled to a priority payment of $56,305.83, on account of its mortgage. However, the Court observed that in Canada, it is well established that a claim in respect of a ship only carries with it an ordinary right in rem, without priority, against a sister ship. Thus, the Port’s claim against the Chaulk Determination in the amount of $210,181.00 could only rank alongside the other ordinary creditors when directed against the proceeds of sale of the Chaulk Lifter. Next came the claims of the Chaulk family members who purported to hold mortgages. The Court found that it was clear from the evidence that David Chaulk had intended to give preference to his brother, Brent, and to his father, Morris. Ultimately, the Court found that the mortgages were not granted “at arm’s length” as between the family members. As Justice Harrington remarked, “No doubt the Chaulks lent a helping hand out of love for David. However, that love should not come at the expense of arm’s length creditors.” His Honour held that the Chaulks would rank behind the other ordinary creditors, and would recover only if there was anything left over from paying them all out. The Coast Guard submitted a claim in the amount of $1,839,927.68 for costs associated with the sinking of the Chaulk Determination. The Court held that the Coast Guard would have enjoyed a high priority if the vessel arrested and sold had been the Chaulk Determination; however, given that the proceeds of sale were from the Chaulk Lifter, the Coast Guard was only an ordinary creditor and not entitled to priority. This claim was different than the others. In fact, it was really a claim for security in the event that the Ship-source Oil Pollution Fund was obligated to compensate parties who may have suffered damages as a result of the pollution caused by the sinking of the Chaulk Determination. As the Court observed, persons who have suffered actual or anticipated oil pollution damage may, in accordance with s. 103 of the Marine Liability Act (the “Act”), file a claim with the Administrator if that claim is in connection with the international Bunker Convention, being Schedule VIII to the Act. The Bunker Convention has force and effect in Canada by virtue of s. 70 of the Act. In this case, however, the Administrator filed a claim against a sister ship, and not the ship that had caused the pollution. This gave rise to an issue as to whether the Administrator could do so. The Court found that it could. While s. 102 of the Act did not expressly give the Administrator the right to claim against a sister ship, Justice Harrington was nonetheless satisfied that the Administrator had the right to claim against the sister ship by virtue of section 43(8) of the Federal Courts Act, which allows for an action to be brought in rem against “any ship that, at the time the action is brought, is owned by the beneficial owner of the ship that is the subject of the action”. As nothing in the Marine Liability Act detracted from that provision, the Court allowed the Administrator’s claim to stand and rank as an ordinary creditor. Ultimately, the Administrator’s share of the remaining proceeds of sale amounted to $44,922.65. Being security for future costs, however, this amount was strictly speaking only to be applied as and when the Administrator approved claims from others in connection with the pollution caused by the Chaulk Determination. The question therefore arose as to whether the Administrator should be paid the funds up front, or whether they should be paid into court to await future claims. The Court found that the most practical solution in this case was to pay the Administrator directly. The Administrator could seek directions from the Court should difficulties arise in the future. (*1) For a discussion of the Court’s treatment of the various competing priorities in the “Phoenix Sun” case, see the article by the author entitled “Ballantrae Holdings Inc. v. The “Phoenix Sun”: Federal Court Performs Ranking Exercise In Connection With Creditors’ Claims to Proceeds of Vessel Sale”, which can be found starting at page 21 of the October 2016 edition of the Fernandes Hearn LLP Newsletter. Section 275 of the Insurance Act, R.S.O. 1990, c.I.8 (“Insurance Act”), creates a scheme for loss transfer indemnity where any insurer who paid statutory accident benefits may be repaid by another insurer in collisions involving heavy commercial vehicles and motorcycles. Section 9(2) of Ontario Regulation 664 under the Insurance Act provides a first party insurer who insures an automobile with the right, in certain circumstances, to claim indemnification from a second party insurer who insures a heavy commercial vehicle to the extent of fault found on the operator of the heavy commercial vehicle. The purpose of the loss transfer regime is to balance the costs and spread the risk between the insurers of different sizes of vehicles. It is effectively a loss re-allocation, since the risks assumed by insurers of smaller vehicles (e.g. motorcycles, snowmobiles, small cars) may be disproportionately large compared to the risks of insuring a heavy commercial vehicle; specifically, with respect to the potential for injury. The loss transfer rules govern indemnity for the payment of accident benefits, i.e. no-fault medical and other payments made to injured victims of motor vehicle collisions including treatment expenses (physiotherapy, rehabilitation, prescription medications etc. ), attendant care, income replacement, and housekeeping expenses. Typically, each insurer will bear the cost of the no-fault accident benefits paid to its own insured, but, when a heavy commercial vehicle is involved in an accident with a smaller vehicle, the first party insurer will make claim for the reimbursement of paid accident benefits under the loss transfer rules from the second party insurer. There must, however, be at least partial liability on the part of the heavy commercial vehicle driver before its insurer must reimburse the first party insurer. If the truck’s driver is not liable, then no reimbursement is required. Reimbursement is made in accordance with the relative degrees of liability of the drivers (see “Fault Determination Rules”, below). If the insurers are unable to agree with respect to indemnification under s.275 of the Insurance Act the dispute shall be resolved through arbitration under the Arbitration Act, 1991, S.O. 1991, C.17. To apply, an at fault vehicle must be considered a “heavy commercial vehicle”, which is defined as a “commercial vehicle” used to transport materials, goods, tool and/or equipment and having a gross weight greater than 4500 kilograms (*2). In Ontario, the apportionment of fault between two vehicles under the loss transfer rules is based upon the “Fault Determination Rules”. These rules describe typical accident scenarios, assigning pre-determined percentages of fault. If none of scenarios in the Fault Determination Rules applies to a particular accident then fault will be determined in accordance with the ordinary rules of law. The second party insurer has the right to dispute the amount of benefits paid by the first party insurer to its insured. According to the Regulation (*3) however, the onus of proof is on the second party insurer to prove that such payments were unreasonable, a very high standard of proof. The test is not whether the second party insurer would have made the same payments to the insured, but whether the payments made were “reasonable” under all the circumstances. Only in very rare circumstances could a second party insurer successfully challenge the amount of accident benefits paid. The quantum of benefits is not realistically subject to any serious challenge, as practically speaking each insurer is motivated by its own business interests not to overpay its insured. It is in this area that a recent case, The Personal Insurance Company v. Zurich Insurance Company Ltd. (“The Personal v Zurich”), a decision of Arbitrator Bialkowski (October 28, 2016 unreported) dealt with the issues of onus and burden of proof in loss transfer cases. A loss transfer arbitration was commenced by the first party insurer after the second party insurer declined to pay the demanded loss transfer indemnity. The insurer of the automobile, The Personal, processed the property damage claim and the assigned appraiser concluded that the automobile could not be repaired on an economically viable basis. The Personal also received Applications for Accident Benefits from the insured driver and occupants of the automobile. Statements were taken from The Personal’s named insured driver and her passengers which were generally consistent in their description of the route of the automobile and that they had been struck from behind by a large truck several times. The Personal considered whether the claims resulted from an “accident” and, as part of that investigation, an expert engineer was jointly retained by the insurers. The engineer concluded that the accident did not occur as reported and that the circumstances and evidence were not consistent with a collision involving the frontal aspect of the truck. Despite the engineer’s conclusions and because the circumstances did not contain the hallmarks of a staged accident, The Personal did not deny the claims as presented. The Personal then sought indemnification under loss transfer for the various benefits it had paid to its insured and the occupants of the automobile. Zurich, at the arbitration, maintained that The Personal should have accepted the conclusions of the engineer that there was no accident and then denied indemnification regarding property losses and accident benefits. The Personal had advised of its reasons for not denying the claims, including, amongst others, that the report was overly technical and difficult to understand, failed to take into account all accident details including the written statements of The Personal’s insured driver and passengers and the facts of the accident did not contain the usual hallmarks of a staged accident. (*5) The truck driver had also not denied that he had hit the automobile and it was possible that he did not see the automobile or feel any impact(s). The Personal relied upon Rule 6(2) of Fault Determination Rules for a finding of 100% fault as against the Zurich insured truck driver. This Rule deals with straightforward rear-end collisions. Zurich argued that The Personal bore the onus of proving that it was entitled to loss transfer indemnity on the basis that (1) an accident had occurred, which gave rise to the responsibility to pay accident benefits; and (2) that there is some degree of fault attributable to the Zurich insured driver. The Personal, Zurich argued, was unable to prove that an “accident” occurred which could give rise to the responsibility to pay accident benefits, as there was no collision between the automobile and the truck, as alleged. Alternatively, Zurich claimed that The Personal was unable to establish the circumstances of the accident and so it was impossible to determine which Fault Determination Rule applied or that any fault was attributable to the truck driver. Accordingly, Zurich had refused to indemnify The Personal. The parties also argued whether The Personal’s payments were unreasonable. The Personal maintained that its decision to pay accident benefits could not be viewed as “unreasonable” and that Zurich would essentially have to prove that the decision to pay was grossly negligent or in bad faith. Zurich, it was argued, could not meet this onus and The Personal’s decision to pay benefits, despite the engineering evidence of the engineer, should not be disputed. 3. in general, so negligently handle the claim that payments were made greatly in excess of that which the insured would have been entitled had the file been managed by a reasonable claims handler”. “…. it is not for second party insurers to second guess payments made by first party insurers. The latter are presumed to be acting reasonably. It may well be better practise for a first party insurer, contemplating a lump sum settlement with its insured, to seek input from the second party insurer, if the circumstances permit. That is only a common sense precaution against future problems. It does not, however, shift the onus of proving reasonableness. It is for the party from whom indemnification is sought to show the payment was unreasonably made”. “This system of loss transfer is a reimbursement system. It is based on the premise that the first party insurer has a relationship with the insured person and must treat that person fairly. The first party insurer must handle claims under the SABS reasonably and properly and must comply with the timelines set out in the SABS. The first party insurer owes a duty to the insured person to act in good faith. First party claims are different than third party claims. When considering a loss transfer claim, one must assume that the first party insurer has acted reasonably and properly throughout the process…. Largely because of the unique relationship between the first party insurer and an insured person in claims under the SABS, I conclude that there is a very high onus on the second party insurer to demonstrate that any settlement was not reasonable. The unique relationship between the first party insurer and the insured person is recognized in the various Bulletins clarifying the loss transfer mechanism. If the second party insurer is not to intervene, and is not to interfere, and may not dictate claims handling decisions, and should not second guess, then that second party insurer must prove that any settlement entered into is clearly and grossly unreasonable or that there was gross mismanagement or gross negligence in the handling of the claim”. Arbitrator Bialkowski stated that this was not a case where Zurich was claiming the payments were unreasonable, but rather that the accident did not occur so that the claimants were never entitled to benefits in the first place and, ultimately, loss transfer was not available. Despite the conclusions reached by the engineer, Arbitrator Bialkowski found that there was, on the balance of probabilities, some contact between the two vehicles and he gave weight to the claimants statements, who all maintained that there was contact between the vehicles. Such evidence was uncontradicted; in fact, the evidence of the truck driver did not deny that contact was made. Further, Arbitrator Bialkowski concluded that the engineer’s reports did not provide sufficient probative evidence to overcome the evidence of the claimants and that the engineer’s opinion might have been different if he had had all evidence before him. Arbitrator Bialkowski also noted that he did not have all the critical evidence. He indicated that considerable weight might have been given to the evidence of the investigating police officer, who had had the opportunity of speaking with all five individuals involved as well as observing the property damage. It was clear from the police file, however, that to the investigating police officer, there was property damage that could be related to the incident. He concluded that the police officer must have found the claimants credible, because he charged the truck driver with careless driving. It is to be noted that Zurich did not submit evidence as to the outcome of those charges. Arbitrator Bialkowski concluded that the evidence of the engineer could not displace the evidence of the truck driver and that, at page 13, “Although it is possible that there was no contact between the vehicles, the evidence is not so compelling so as to tip the balance of probability on that point.” He also concluded that to find otherwise would mean that the four claimants had conspired together to make fraudulent accident benefits claims, which he declined to consider on the evidence before him. Arbitrator Bialkowski concluded that the onus of proof to demonstrate that there was contact between the vehicles was upon first party insurer, The Personal, which met the onus for the most part on the strength of the four claimants’ evidence. The engineering evidence was also not sufficiently persuasive to dismiss the evidence of the claimants. Accordingly, he found that there was “some contact between the two vehicles” and he was satisfied that The Personal’s decision to accept the accident benefits claims was reasonable in the circumstances. As a straightforward rear-end collision, Rule 6(2) of the Fault Determination Rules was applied making Zurich fully responsible for indemnifying The Personal for the accident benefits reasonably paid to or on behalf of the claimants. He awarded prejudgment interest and costs against Zurich on a partial indemnity basis along with costs of the arbitration. Loss transfer cases are rare and The Personal v Zurich is a helpful review of the law regarding the burden of proof upon the second party insurer when contesting accident benefit payments made by a first party insurer as well as clarifying that the first party insurer has the onus of proving the circumstances of the accident. Further, parties in such arbitrations should also ensure that all relevant evidence is before the arbitrator. (*1) The Review section is in part reproduced from the author’s article in the October 2014 Fernandes Hearn LLP newsletter. (*2) There is case law relating to the weight of the heavy commercial vehicle as actual weight of the vehicle at the time of the accident and not the full capacity weight is relevant. Also for further information regarding to whom Loss Transfer applies, please see the article referred to in (*1) above. (*4) There was no evidence presented regarding the outcome of the charges. (*5) Such as the fact that the accident occurred in the early morning while all four occupants in our insured’s vehicle were travelling to work. The police attended and a Motor Vehicle Accident Report was prepared (which is atypical in staged accident cases) and the truck driver was charged with careless driving. Also the claimants were not all off work collecting accident benefits. Rui Fernandes is listed as an expert in Shipping and Maritime Law, Transportation (Rail & Road), and Litigation-Commercial Insurance. Gordon Hearn is listed as an expert in Shipping and Maritime Law, and Transportation (Rail & Road). Louis Amato-Gauci is listed as an expert in Transportation (Rail & Road). Kim Stoll, Alan Cofman and James Manson represented the firm at the Chartered Institute of Logistics and Transport in North America (CILTNA GTA Region Chapter) Marine Transportation Breakfast on June 1st in Mississauga. James Manson, Mark Glynn and Jaclyne Reive spoke on a panel at the 2016 Supply Chain Management Association’s National Conference on “Understanding ‘limits of liability’: key insights into surface, air and ocean transportation contracts” on June 17th in Niagara Falls. Gordon Hearn will be representing the Firm at the Transportation Lawyers Association Annual Executive Meeting being held in Chicago on July 16, 2016.
shipment, the CIFFA national board of directors determined that a slight amendment to those STCs would more specifically address the new regulation.The following text outlines the changes to paragraph 8 (A) of the CIFFA Standard Trading Conditions as approved by the membership at yesterday’s Annual General Meeting held in Montreal. The change specifically addresses the SOLAS VGM requirement as the responsibility of the shipper. CIFFA Members should ensure customers are advised of the revision to paragraph 8 (A). Canadian companies and individuals should be aware that a Canadian and U.S. authorities are actively pursuing prosecutions for improper export of controlled goods to sanctions countries. 5) Counts 7, 8 and 10 – knowingly making a false waybill and knowingly using a forged waybill and end-use certificate when attempting to export the pressure transducers from Canada, contrary to the forgery provisions of the Criminal Code, R.S.C. 1985, c. C-46 (the “Code”). The United States has been encouraging the Canadian government to more aggressively prosecute such breaches. Preet Bharara, the United States Attorney for the Southern District of New York, and John P. Carlin, Assistant Attorney General for National Security, announced that ALI REZA PARSA, a Canadian-Iranian dual citizen and resident of Canada, was sentenced on Friday, May 20, 2016, to three years in prison for his participation in a conspiracy to violate the International Emergency Economic Powers Act (“IEEPA”) and the Iranian Transactions and Sanctions Regulations (“ITSR”). PARSA was arrested in October 2014 following an investigation by the Federal Bureau of Investigation (“FBI”) and United States Department of Commerce, Bureau of Industry and Security (“BIS”). PARSA pled guilty on January 20, 2016, before U.S. District Judge Ronnie Abrams, who imposed Friday’s sentence. Between approximately 2009 and 2015, PARSA conspired to obtain high-tech electronic components from American companies for transshipment to Iran and other countries for clients of PARSA’s procurement company in Iran, Tavan Payesh Mad, in violation of U.S. economic sanctions. To accomplish this, PARSA used his Canadian company, Metal PM, to place orders with U.S. suppliers and typically had the parts shipped to him in Canada or to a freight forwarder located in the United Arab Emirates, and then transshipped from these locations to Iran or to the location of his Iranian company’s client. PARSA provided the U.S. companies with false destination and end-user information about the components in order to conceal the illegality of these transactions. PARSA’s criminal scheme targeted numerous American technology companies. The components that PARSA attempted to procure included cryogenic accelerometers, which are sensitive components that measure acceleration at very low temperatures. Cryogenic accelerators have both commercial and military uses, including in applications related to ballistic missile propellants and in aerospace components such as liquid-fuel rocket engines. In addition, following his arrest and while incarcerated at the Metropolitan Detention Center, PARSA continued to violate the IEEPA and the ITSR by conducting business for Metal PM and Tavan Payesh Mad, including by ordering parts from German and Brazilian companies for Iranian customers. PARSA subsequently directed a relative to delete email evidence of his ongoing business transactions while in jail, emphasizing the need for secrecy in their dealings. Neither PARSA nor any other individual or entity involved in transactions that gave rise to his conviction applied for or obtained a license from the U.S. Department of the Treasury’s Office of Foreign Assets Control for the transactions. (*1) R. v. Yadegari 2011 ONCA 287. (*2) May 23 2016 Press Release Dept. of Justice U.S. Attorney’s Office, Southern District of N.Y. 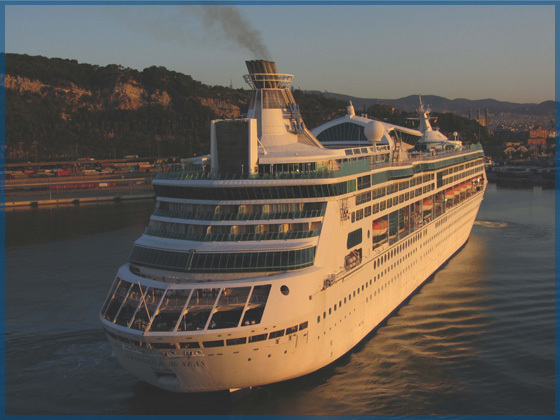 In May of 2016, the Superior Court of British Columbia rendered a decision in Avina v The Ship Sea Senor (“Avina”)(*1). This case involved the arrest of a ship pursuant to the British Columbia Supreme Court Civil Rules as opposed to the Federal Court Rules, and an order for sale of the subject ship pendente lite, amongst other things. The Court heard concurrent contested applications and ultimately neither party was successful and all of the relief requested was denied. The Avina decision, examined below, is instructive regarding: (1) the available grounds for ship arrests; (2) the associated jurisdiction of the Federal Court and British Columbia Supreme Court; and (3) regarding the factors to consider and the sufficiency of evidence required for orders for sale pendente lite (or “pending the litigation”). Where parties have a dispute involving a maritime claim, it is possible to arrest the ship involved.(*2). Claims involving in rem jurisdiction may use ship arrest to advantage as bail or security is posted for the arrested ship’s release allowing for immediate satisfaction of any judgment. (s) dock charges, harbour dues or canal tolls and charges for the use of the associated facilities. A ship arrest order is made based upon a solicitor’s sworn Affidavit to Lead Warrant, supported by written or oral evidence establishing the debt or claim. The ship can be released by (1) the consent of the arresting party; (2) discontinuance or dismissal of the associated action; (3) payment into court of the amount claimed; or the amount of freight (where cargo is arrested for freight only); or the appraised value of the arrested ship. The ship may also be “bailed out” by the posting of an agreed upon amount (including interest and costs but not more than the ship’s value). The ship is then released by service of a court-issued release from arrest document plus any costs or Sheriff’s fees. Upon agreement, these amounts may be provided by a P&I Letter of Undertaking as security. (*4) Otherwise, payment can be made by surety bond, bank guarantee or a court approved for of bail bond or by cash paid in to court. Arrest can be contested by motion or application to the court on the basis of jurisdiction or grounds or where the arrest was otherwise wrongful. Damages for wrongful arrest will be awarded only if the owner of the ship can prove that the action was instituted with malice or gross negligence as per the Supreme Court of Canada’s seminal case, Armada Line Ltd. v.Chaleur Fertilizers Ltd.(*5) The release of the arrested ship can also be contested on motion by an interested party. However, such orders for sale pendente lite are not always granted even though the ship remains in the jurisdiction of the court, where no bail or security is posted for its release. British Columbia has made such arrest procedures available for access by parties in its British Columbia Supreme Court Civil Rules. It is the only province to do so. In other provinces, including Ontario, applications are made to the Federal Court for arrest warrants in respect of in rem claims pursuant to the provisions of the Federal Court Act and Rules thereunder. The Avina case, reviewed below, considered and affirmed the British Columbia Supreme Court’s jurisdiction in this regard. The Avina decision is instructive regarding ship arrests pursuant to the British Columbia Supreme Court Civil Rules and also regarding the evidence required when applying for an order for a ship sale pendente lite. The parties agreed to purchase the ship Sea Senor (the “Vessel”) as the sole asset of an incorporated entity, Sea Chariot Holdings Inc.. The Vessel was purchased for $225,500.00 in March of 2012. The parties eventually had various disagreements and a claim was commenced seeking damages and an order for the sale of the Vessel amongst other relief. The plaintiff caused the Vessel to be arrested pursuant to an order of the British Columbia Supreme Court. The defendants, however, failed to post the usual security or bail for the Vessel’s release and so the Vessel remained under arrest and in the jurisdiction of the court, until such a time as the dispute resolved by trial or settlement. The parties disagreed on just about everything including the amounts paid or not paid by the plaintiff in respect of the Vessel to the percentage owned by each of the parties to whether there was a conditional sales agreement in that regard. The plaintiff claimed that, since the fall of 2013, the defendants were unwilling or unable to make necessary payments relating to the Vessel, failed to ensure that the Vessel was properly maintained to a point where the Vessel was deteriorating and should be sold before its value was affected. The defendants denied all such allegations. The plaintiff sought an order for the sale of the Vessel pendente lite and an order for any proceeds to be held in trust by his counsel. b. further, and in the alternative, the agreement between the parties is, in substance, a secured transaction and the debtor has exercised its right of voluntary foreclosure. As a result, the Court heard two contested applications at the same time. 21-1(2) Except to the extent that jurisdiction has been otherwise specially assigned, an action may be brought in rem against a ship or other property that may be brought in rem in the Federal Court of Canada in all cases in which a claim for relief is made under or by virtue of Canadian maritime law or any other law of Canada relating to navigation and shipping. The action, therefore, must be one that could have been brought in rem in the Federal Court of Canada and must be a claim for relief under or by virtue of Canadian maritime law or any other law of Canada relating to navigation and shipping. The jurisdiction of the Federal Court had to be established for the case at bar. 3. The law on which the case is based must be “a law of Canada” as the phrase is used in s. 101 of the Constitution Act, 1867. Therefore, the plaintiff’s claim was “with respect to title, possession or ownership of a ship or any part interest therein” within the meaning of s. 22(2)(a) of the Federal Courts Act” and, as a result, rooted in maritime law. The defendants’ application was dismissed. 13-5 (1) If in a proceeding it appears necessary or expedient that property be sold, the court may order the sale and may order a person in possession of the property or in receipt of the rents, profits or income from it to join in the sale and transfer of the property and deliver up the possession or receipt to the purchaser or person designated by the court. Whether there is any good reason for a sale before trial. The plaintiff produced affidavits and photographs as proof that: (1) the Vessel was untidy, dirty, and moldy; (2) there were dents and scratches on the hull; (3) the dinghy was partially deflated, and (4) there was maritime growth below the waterline. The defendants, in turn, relied upon opposing affidavits, which testified that there was no serious deterioration and that the plaintiffs’ complaints were: (1) largely about cosmetic matters; (2) were minor; and (3) could be remedied at a modest cost. The Court also found that there had been no appraisal of the Vessel and, although an appraisal may not be an absolute requirement on an application for sale, the lack of an appraisal made it more difficult for the applicant plaintiff to establish: (1) that the value of his claim was close to the value of the Vessel; and (2) that there had been serious deterioration and diminution of value since the Vessel was arrested. The Court accepted the defendants’ submission that the Vessel’s condition was not seriously deteriorating and that the deficiencies noted were minor and merely cosmetic. The Court further found that the defendants had an arguable defence to the claim, although the relative strength of the two positions could only be determined following a trial. Ultimately, in all the circumstances, the Court was not satisfied that an order for sale of the Vessel pendente lite was necessary or expedient at that time and denied the plaintiff’s request. The Court dismissed both applications, awarding no costs to either party. (*2) A ship may also be subject to a Mareva Injunction order where a party’s assets are frozen within the subject jurisdiction. Further, a judgment debtors’ ship can be seized and sold as an asset of that judgment debtor’s to satisfy any outstanding debts. (*4) Letters of Undertaking are not technically sufficient under the Canadian Federal Rules of Court, but are routinely negotiated. (*7) The defendants argued that their was a conditional sales agreement and sought declarations relating to their alleged entitlement under the province’s PPSA, S. 59(2) to dispose of the Vessel and to waive the necessity of notice in this regard. The Court found that the critical facts in dispute had to be resolved before the issue could be addressed. (*10)  F.C.J. No. 1120 at para. 35. It should be noted that this case was argued by Rui Fernandes. (*12) 2005 FC 95 (CanLII). See also Brotchie v Karey T (The)  F.C.J No. 1266. (*13) See Moody Estate, 2008 BCSC 786 (CanLII), at paras. 18 to 27. See also the foundational case of The “Myrto”  2 Lloyd’s Rep. 243 at p. 260 where the court therein that the court must have a good reason for ordering the sale pendente lite. In addition to direct online selling of services and products, freelancers also utilize peer to peer exchange platforms. The rise of companies such as Uber and Airbnb has meant more and more people have started to work in the gig economy. Students with a car can utilize the Uber platform to make money in between classes. Retired person can occasionally let out spare rooms on the Airbnb platform. Prior to computers, GPS enabled smartphones and tablets, such activity was likely not to take place. Providers to the gig economy don’t have to commit to full days of work. A mom can pick up her kids from school (and then switch to being an Uber driver). In the gig economy, the lines between personal and professional become increasingly blurred. The dark side of the gig economy is that the same issues faced by traditional temporary employees continues to exist. Workers do not get health benefits, paid vacation time, pensions or other safety net provisions such as unemployment insurance. The line between gigs and fixed salary “real jobs” is getting increasingly blurred. (*5) The determination of whether an individual is a dependent or independent contractor has a number of legal ramifications. See the Fernandes Hearn LLP newsletter article on this topic – November 2015. On March 29 2016 the Canadian Transportation Agency released its decision (*1) as to whether a reseller, NewLeaf Travel Company Inc. (“NewLeaf”), was operating an air service and was required to have a license pursuant to section 57(a) of the Canada Transportation Act, S.C. 1996 (“CTA”). A “reseller” is a person who does not operate aircraft and who purchases the seating capacity of an air carrier and subsequently resells those seats, in its own right, to the public. NewLeaf Travel Company Inc. was selling tickets to the public and using Flair Airlines Ltd. (who holds an air operator’s certificate) aircraft and crew. The Agency found that after having carefully considered the wording of the CTA and the Air Transportation Regulations, SOR/88-58, the CTA’s underlying public policy purposes, and the submissions received during the consultation period, the most reasonable interpretation of what it means to operate an air service does not capture resellers, as long as they do not hold themselves out to the public as an air carrier operating an air service. The Agency arrived at this decision after reviewing a number of prior decisions including two decisions involving Greyhound and after its own internal review. In 1996, the CTA’s licensing parameters were tested when Greyhound Lines of Canada Ltd. (“Greyhound”) proposed to market and sell air services, on its own behalf, while entering into a contract with Kelowna Flightcraft Air Charter Ltd. (“Kelowna Flightcraft”) to operate the aircraft. The Agency, in Decision No. 232-A-1996 and Decision No. 292-A-1996, determined that Greyhound would operate the air service and, therefore, required a licence. The Agency arrived at its determination on the basis that the person that had commercial control over the sale of the air service was required to hold the licence, irrespective of whether they operated aircraft. Greyhound and Kelowna Flightcraft petitioned the Governor in Council (“GIC”) to reverse the Agency’s decisions. The GIC, on the recommendation of the Minister of Transport, determined that Greyhound Canada Transportation Corp., a successor corporation to Greyhound, would not be operating the air service (Order-in-Council No. P.C. 1996-849). The GIC, however, placed a number of conditions on its decision, including that Greyhound Canada Transportation Corp. inform all prospective purchasers of the air services that Kelowna Flightcraft would be providing the air service. In 2014, the Agency initiated an internal review of whether resellers are “operating air services” and are therefore required to hold a licence. The Agency subsequently became aware of NewLeaf’s plan to market and sell air services, while not operating aircraft, and in August 2015, initiated an inquiry, pursuant to section 81 of the CTA, into whether NewLeaf would be operating an air service and therefore would be required to hold a licence. The Agency decided to complete its review of whether resellers were required to hold a licence as part of this inquiry, and also decided to hold public consultations on the matter. NewLeaf Travel Company initially launched its website and began selling tickets to seven Canadian destinations on January 6, 2016. The Canadian public’s response to NewLeaf’s launch of low cost airfares for those destinations was overwhelming, and reinforces the fact that Canada needs, and can support, an ultra low cost unbundled travel option that creates competition in air travel. “We want to thank the thousands of Canadians across the country who have expressed their support, especially those who have gone above and beyond by signing our petition and writing letters to the Minister of Transport. This backing shows that Canadian travellers truly desire an ultra low-cost air service option which NewLeaf, in conjunction with Flair Airlines, will provide. We are energized by the results of the review, and look forward to the bright future that lies ahead for NewLeaf and the Canadian travelling public,” said [Chief Executive Officer] Young. While the Agency finds that, on balance, the most reasonable interpretation of the statutory licensing provisions and their underlying objectives is that resellers are not operating air services and therefore, are not required to hold a licence, this will only be the case as long as those resellers do not hold themselves out to the public as an air carrier operating an air service. The Agency finds that if they choose to do so, resellers would be operating an air service and would be required to hold a licence, thereby ensuring that the consumer protection purposes of the legislation are not undermined. In determining whether a person is holding themselves out as an air carrier operating an air service, the Agency will consider whether the person promotes themselves as an air carrier, including providing images of aircraft with their livery and using business name(s) and words/phrases that create the impression that they are an air carrier. Lack of clear disclosure on its Web site, marketing material, and on tickets it issues of the identity of the operating air carrier would be indicative of the reseller holding itself out as an air carrier operating the air service. Web sites and marketing materials that use business names (e.g., “air”, “air lines”, “airlines” “airways”, “aviation”, “fly”, “jet”, or “sky”) or phrases and words (e.g., “our fleet of aircraft”, “our crew”, “we fly”) that convey that the reseller is an air carrier operating the air service would also be indicative of holding oneself out as operating an air service. In contrast, clearly identifying the air carrier that will operate the air service, that the reseller’s role is limited to reselling the air carrier’s capacity, and that the air carrier’s tariff’s terms and conditions apply to the flight would not be indicative of a person holding themselves out as an air carrier operating an air service. The Agency notes that a passive approach by the reseller that neither clarifies nor refutes any impression by the public that the reseller is an air carrier operating an air service could also be indicative of the reseller holding itself out as an air carrier operating an air service. The public should be clearly informed about whether they are contracting and dealing with the operator of the air service so that they can assess any risk and make informed decisions. As of the time this article was written the NewLeaf service (and website) is up and running. It is interesting to note that the website now states “Flights operated by Flair Airlines Ltd.” Presumably this is to ensure that it meets the Agency requirements set out above. It is also interesting to note that on June 9th the Federal Court of Appeal issued its decision in Lukacs v. Canadian Transportation Agency and Newleaf Travel Company Inc. [2016 FCA 174]. Dr. Lukacs is a well known air passenger rights advocate. Dr. Lukacs needed leave of the Federal Court of Appeal to appeal the decision of the CTA. On June 9th the Federal Court of Appeal granted Dr. Lukacs leave. The Court of Appeal noted that Dr. Lukacs participated in the consultation before the Agency undertaken with respect to the change in the interpretation of the licencing requirements applicable to domestic resellers of air service. This was sufficient to afford him standing to launch the appeal. The Court also found that he would possess standing as a public interest litigant. The test for public interest standing involves consideration of three inter-related factors: first, whether there is a justiciable issue, second, whether the individual seeking standing has a genuine interest in the issue, and, third, whether the proposed proceeding is a reasonable and effective way to bring the matter before the courts. The Court ordered the appeal to proceed on an expedited basis. We expect to see a decision within the next six months. (*2) Ibid, at para. 25. (*3) Ibid, at paras. 42-45. The Quebec Court of Appeal dismissed an appeal brought by WestJet with respect to a decision of the province’s Superior Court, which had refused to circumvent a certified class action against the airline on the basis of jurisdiction. The class action is one of the various proceedings claiming damages in the aftermath of the widely publicized 2008 decision of the Canadian Transportation Agency (« CTA ») that the industry standard « one seat-one price» basis for charging passengers was an undue obstacle to access to air transportation for obese and disabled persons requiring more than one seat. WestJet argued that the provincial courts should cede jurisdiction in favour of the CTA to decide claims against the airline either as a matter of law or as a matter of deference to the CTA’s expertise in the field. The Court of Appeal upheld the judge of first instance’s decision that the plaintiffs were entitled to proceed in the Quebec Superior Court. La Cour d’appel du Québec a rejeté un pourvoi formé par Westjet, le deuxième transporteur aérien canadien, qui contestait une décision de la Cour supérieure du Québec ayant rejeté sa requête en exception déclinatoire. Cette action constitue un recours collectif déjà certifié par la Cour supérieure du Québec (*1). La partie demanderesse réclame une indemnité pour le prétendu préjudice résultant de la politique tarifaire de WestJet. Historiquement WestJet, comme son concurrent domestique Air Canada, a appliqué la politique d’un siège-un tarif (« politique 1S1T »). En application de celle-ci, lorsqu’un passager avait besoin de plusieurs sièges, soit en raison de son obésité, soit en raison d’un handicap nécessitant la présence d’un accompagnateur et/ou d’un siège supplémentaire, le passager était tenu de payer le tarif multiplié par le nombre de sièges requis. En 2008, l’Office des transports du Canada (« l’Office ») avait dénoncé cette politique sur le marché interne en décidant que les compagnies aériennes ne pouvaient exiger des frais supplémentaires pour les sièges additionnels fournis aux personnes ayant une déficience physique (*2). L’Office a déclaré que les transporteurs en cause —WestJet, Air Canada et Air Canada Jazz — devaient prendre des mesures correctives pour éliminer cet obstacle au déplacement à travers le Canada des personnes ayant une déficience. Par conséquent, les transporteurs ont adopté une politique d’un passager-un tarif (« politique 1P1T »), éliminant ainsi les charges supplémentaires pour les sièges additionnels fournis en raison d’une déficience chez un passager. Le champ d’application de cette décision était explicitement limité aux vols internes. En 2015, l’Office a refusé d’étendre l’application de sa décision aux vols transfrontaliers et internationaux (*3). Selon l’Office, le contexte international présente des paramètres additionnels tels que les lois et règlements internationaux, les accords bilatéraux et les alliances et autres accords commerciaux entre les transporteurs qui devraient être pris en considération par l’Office dans le cadre de sa réflexion sur l’application de la politique 1P1T aux vols internationaux. Suite à la décision de l’Office en 2008, des actions collectives ont été initiées à travers le Canada aux fins de réclamer une indemnisation monétaire pour les passagers ayant été préjudiciés par la politique 1S1T. En 2013, Mme Chabot a été certifiée comme représentant pour instituer un tel recours collectif à l’encontre de WestJet au nom de tous les résidents du Québec ayant payé des frais additionnels au bénéfice de WestJet en application de la politique 1S1T. WestJet a déposé devant la Cour supérieure une requête en exception déclinatoire par laquelle elle a contesté la juridiction rationae materiae de la Cour supérieure au profit de celle de l’Office. Cette requête a été rejetée par le juge de première instance (*4). WestJet a formé un pourvoi à l’encontre de cette décision. La Cour d’appel a d’abord considéré si le recours collectif visait une adjudication des droits ou la réglementation des tarifs de la partie demanderesse, cette dernière ne relevant pas de la juridiction de la Cour en l’absence d’une disposition législative expresse. Hogue J.C.A. pour la Cour d’appel a conclu que l’action se fondait essentiellement sur la réclamation d’une indemnité pour un préjudice et que, par conséquent, les cours de droit commun avaient une juridiction prima facie. La Cour d’appel a ensuite considéré l’argument de WestJet selon lequel la Loi sur les transports au Canada (« la Loi ») (*5) aurait implicitement confié une juridiction exclusive à l’Office pour régler ce différend. Selon une jurisprudence constante de la Cour Suprême, deux conditions doivent être satisfaites pour que la compétence des cours de droit commun soit restreinte au profit d’un autre tribunal: une disposition législative expresse, et l’attribution exclusive à un autre tribunal (*6). Ces exigences n’ont pas été assouplies au cours des années et elles n’étaient pas réunies en l’espèce. La Loi ne confère pas une juridiction exclusive à l’Office, le recours est par conséquent admissible devant les cours du droit commun. WestJet a subsidiairement argué que même si le législateur n’a pas privé la Cour supérieure de sa compétence pour juger du différend entre les parties, le juge de première instance aurait néanmoins dû accueillir sa requête eu égard, d’une part, à la compétence exclusive de l’Office pour déterminer si les politiques des transporteurs constituent un obstacle au déplacement et, d’autre part, à la plainte alors pendante devant l’Office concernant l’application de la politique 1P1T aux vols transfrontaliers et internationaux. Il existe des circonstances pouvant justifier un déclin de sa juridiction par la Cour supérieure en faveur d’un tribunal spécialisé ayant une juridiction concurrente, tel n’était cependant pas le cas en l’espèce. Le recours collectif vise une indemnisation monétaire pour les membres de la classe. En 2008, l’Office n’a pas ordonné le remboursement aux passagers des frais déjà payés comme mesure réparatrice bien que cette possibilité soit prévue au paragraphe 172 (3) de la Loi. En outre, l’Office ne peut pas accorder des dommages moraux ni exemplaires tels que réclamés dans l’action collective. C’est donc à juste titre que la Cour supérieure avait refusé de décliner sa juridiction au profit d’un tribunal dépourvu de la juridiction d’octroyer une partie de la réparation réclamée par la partie demanderesse. Selon WestJet, la cour ne pouvait accorder des dommages aux passagers affectés par la politique 1S1T avant que l’Office n’ait déterminé si cette politique représente un obstacle aux déplacements dans les sphères transfrontalières et internationales. Par une décision adoptée unanimement par la Cour, Hogue J.C.A. a écarté cet argument. L’action instituée par la partie demanderesse est basée sur la responsabilité contractuelle de WestJet, et l’examen par la cour de la prétendue faute contractuelle du transporteur se distingue de la notion d’un obstacle au transport des personnes handicapées qui serait en cause devant l’Office. Par conséquent, la Cour supérieure ne devait pas suspendre le recours devant elle en attente d’une décision de l’Office. L’action se poursuivra alors devant la Cour supérieure. 7. Can Individual Employees of Insurance Brokers be Found Personally Liable to Clients? The Superior Court of Justice recently released its decision on a motion brought by the Defendants in Regal Windows & Doors Systems Inc. et al v Marsh Canada Limited et al. (*1) The Defendants brought a motion for an order striking out, without leave to amend, the Statement of Claim as against the three employees of Marsh Canada Limited (the “Broker”) who were named as individual defendants in the lawsuit. The Court decided that the Statement of Claim, as it was currently drafted, was completely devoid of any factual allegations against the individual defendants to substantiate a reasonable cause of action. However, it noted that the Plaintiffs may have a facts that they have not yet pleaded. On that basis, the Court granted permission to the Plaintiffs to amend their Statement of Claim to plead facts that could sustain a viable claim against the individual defendants personally. The Plaintiffs obtained a commercial insurance policy (the “Policy”) through the Broker with Intact Insurance Company (the “Insurer”) with respect to certain premises in London, Ontario. A theft and/or vandalism occurred on the premises resulting in significant damages. The Plaintiffs claimed those damages from the Insurer, who denied coverage due to numerous breaches of the terms of the Policy. The Plaintiffs then started this action against the Broker and the individual defendants for breach of contract, negligence and breach of fiduciary duty and/or professional duty. The Plaintiffs also started a separate action against the Insurer. The Plaintiffs argued that the allegations made in their Statement of Claim revealed a valid cause of action as against the individual defendants. They further stated that if the Court should find that the claims against the individual defendants should be struck, then the Plaintiffs should be given the chance to amend their claim to better plead a cause of action. The Defendants stated that the Plaintiffs did not plead a cause of action against the individual defendants. They argued that at all material times, the individual defendants were employees of the Broker and their actions with respect to obtaining and renewing the Policy were performed in their capacity as employees. The Defendants argued that there were no allegations put forth by the Plaintiffs that (i) the actions of the individual defendants were outside of the scope of their employment; or (ii) that the individual defendants had a relationship with the Plaintiffs that would give rise to a duty of care. The Broker also admitted vicarious liability for the conduct of the individual defendants. The individual defendants also stated that the Court should infer that the Plaintiffs have no factual basis to make any allegations against them as the Plaintiffs did not attempt to amend their Statement of Claim at any time during the three months of notice that they had of the individual defendants’ intent to bring this motion. The Court reviewed the Statement of Claim and found that no allegations were made specifically against the individual defendants as to fraud, deceit, dishonesty or want of authority. Additionally, no allegations indicated that the individual defendants had a relationship with the Plaintiffs that formed the basis of a duty owed by the former to the latter. None of the allegations took the individual defendants outside of their role as employees of the Broker and the Statement of Claim actually made it clear that they were employed by the Broker as licensed insurance agents. The Court reinforced the principle that it is not sufficient to simply add the individual employees’ name with every claim made against a corporate defendant. The Plaintiffs needed to set out specific allegations that separated the actions of the individual defendants from those of the Broker or plead how they owed a duty to the Plaintiffs. On that basis, the Court found that the Plaintiffs failed to substantiate a reasonable cause of action as against the individual defendants. However, the Court still had to address whether the Plaintiffs could amend their Statement of Claim. The individual defendants argued that the Broker, in its Statement of Defence, takes responsibility for the individual defendants on the basis of vicarious liability. On the other hand, the Plaintiffs argued that not to allow them to amend their claim would cause them irreparable prejudice since they may have facts that support a cause of action. Ultimately, the Court decided to grant the Plaintiffs permission to amend their Statement of Claim to plead facts that can sustain a viable claim against the individual defendants. Although this case does not make a formal decision on liability of the employees of the Broker, it highlights the circumstances under which employees should take caution. They should avoid acting outside the scope of their employment duties or creating a relationship with clients where clients are relying on them to a point which could be construed as creating a duty of care to the clients. Employees should also avoid situations where clients could try to claim that they have actual fraudulently, dishonestly, with deceit, or outside of their authority. This decision suggests that in any of these circumstances, there is a possibility that individual employees of a broker could be found personally liable to clients. This decision also highlights the reluctance of the Court to strike a plaintiff’s claim for lack of factual support for a cause of action, without first giving the plaintiff the opportunity to first amend their claim. It will be interesting to follow this case to see if the Court will make a finding with regard to specific circumstances where employees of a broker could be found liable in their personal capacity. (*1) 2016 ONSC 4040 [hereinafter, “Regal Windows”]. (*2) RRO 1990, Reg. 194, Rule 21.01(b). (*3) Regal Windows, at 10. (*5) 1995 CarswellOnt 1203,  OJ No. 3556 (ONCA) at 25. (*6) Regal Windows, at 14. At law, carriers have an obligation to deliver the shipments that they are entrusted with in the same condition as when they were received. However, they are not automatically liable for any kind of damages occurring to shipments while in transit and in their care, control and custody. For example, carriers are not liable for damages caused by an inherent vice of the shipment. In Société d’assurances générales Northbridge v. Garage Marcel Simard Inc., (*1), the Quebec Superior Court recently had to rule on the application of the inherent vice defence. In this case, a corporation called Pro-Combustion Inc., insured by Société d’assurances générales Northbridge, was at all material times specialized in the supply of mobile heating devices to commercial and industrial clients. On or about November of 2010, the services of Pro-Combustion Inc. were retained to supply and deliver a boiler to an entity located in Chibougameau, Québec. To fulfill its contract, Pro-Combustion Inc. retained the services of the defendant Garage Marcel Simard Inc. to pick up the boiler already loaded on a trailer belonging to Pro-Combustion Inc. and to deliver it to its client located in Chibougameau, Québec. Few days later, an employee of the defendant picked up the trailer on which was loaded the boiler and attached it to its tractor using a whell lift and a chain system. While attaching the trailer to its tractor, the defendant’s employee noticed some rust on the trailer but did not think much of it other than it was normal for a trailer that spends most of its time outside to be rusted. While in transit on the highway, a metal platform being part of the trailer’s structure split up causing the trailer to detach from the defendant’s tractor and to rollover in a nearby ditch. The boiler was completely destroyed and the trailer suffered extensive damages as a result of this accident. The plaintiff Société d’assurances générales Northbridge indemnified its insured pursuant to terms of its policy and brought a subrogated action against the defendant Garage Marcel Simard Inc. before the Quebec Superior Court (N.B. Subrogated claims are brought in the insurer’s name in Quebec). The defendant denied all liability based namely on the fact that the loss was the result of an inherent vice of the trailer provided by Pro-Combustion Inc. In its ruling, the Quebec Superior Court had to determine whether or not the defendant Garage Marcel Simard Inc. was entitled to deny liability for the damages to the boiler and the trailer based on the fact that those damages resulted from an inherent vice of the trailer. “2049. The carrier is bound to carry the property to its destination. The Quebec Superior Court held that the damages suffered by Pro-Combustion Inc. had been directly caused by an inherent vice of the trailer for which the defendant Garage Marcel Simard Inc. was not liable. In its ruling the Quebec Superior Court found that there was uncontradicted evidence that the failure of the trailer’s metal platform was the sole cause of the Pro-Combustion Inc.’s damages. Accordingly, the Court found that the defendant Garage Marcel Simard Inc. was not liable for this loss pursuant to section 2049 of the Quebec Civil Code. Finally, the Court addressed the plaintiff’s argument that the defendant carrier could not rely on the exclusion of liability found at section 2049 of the Quebec Civil Code since it was aware of the existence of the trailer’s inherent vice, i.e. the rust, prior to picking up the boiler. The Court noted that it was doubtful that specific knowledge of an inherent vice to a shipment by a carrier was sufficient to deprive the carrier from the exclusion of liability found at section 2049 of the Quebec Civil Code. In any event, the Court found that it could not be presumed that a carrier is aware of an inherent vice just because one of its employees, with no real expertise in metallurgy, had noticed some rust on a trailer to be picked up for carriage. Accordingly, the claim by the plaintiff Société d’assurances générales Northbridge was dismissed. *1 Société d’assurances générales Northbridge c. Garage Marcel Simard Inc., 2015 QCCS 4959 (CanLII). On May 20, 2016, the United States Court of Appeals for the Second Circuit affirmed a decision of the Southern District of New York in Fireman’s Insurance v. Great American Insurance, No. 14-cv-1346, holding that under the doctrine of uberrimae fidei, as well as Mississippi Common law, an insurance contract is void ab initio if the insured is found guilty of misrepresenting material facts which a prudent and reasonable insurance underwriter would have otherwise taken into consideration when determining whether to issue a policy. The case involved a marine construction firm Signal International LLC (“Signal”). Signal had insured a dry dock it owned in Texas. Signal failed to disclose material information regarding the poor condition of the dock. It had also ignored several recommendations for the dock’s repair. Signal obtained pollution and excess property insurance from Great American Insurance and Max Specialty Insurance Company. The dock thereafter sank. Great American Insurance and Max Specialty Insurance Company argued their policies did not cover the costs of removing the dock from the site and for cleaning up the site. The court allowed Insurance and Max Specialty Insurance Company to void the policy ab initio for Signal misrepresenting the condition of the dock. The issue in this case(*1) was whether the claimant owners could apply to the court to require the defendant P&I club to increase the level of security available under a letter of undertaking issued by the club to the owners. The owners pleaded that the use of the words “liberty to apply” in the LOU meant that the court had power to make such a requirement. The club pleaded that the court had no such power. The parties each issued summary judgment applications against the other, and it was common ground that the case raises a question of construction and law suitable for disposition on a summary basis. “It is agreed that both Charterers and Owners shall have liberty to apply if and to the extent the Security Sum is reasonably deemed to be excessive or insufficient to adequately secure Owner’s reasonable Claims. The case arose out of an incident in the Indonesian port of Padang on 9 October 2013 in which the chemical tanker, “FSL NEW YORK” was damaged during loading, and there was an escape of cargo. At the time, the vessel was on charter to ICOF Ship Chartering Pte Ltd. Both owners and charterers asserted claims against each other, owners threatening to arrest vessels owned by the group of which charterers are part. The defendant P&I club, Norwegian Hull Club, of which charterers are members, provided owners with an LOU in the sum of US$3,500,000. In the context of disputes which may lead to the arrest of a vessel, a letter of undertaking issued by a P&I club is a convenient means of providing alternative security, and such letters are widely accepted internationally as such … The letter is issued at the request of a member of the club to the party making a claim, but issue is a matter of discretion, and there is no obligation on the club to do so … The purpose is to place the claiming party in no less a favourable position than if it had begun an action in rem and arrested the vessel… Subject to its particular terms, such an instrument will be treated as giving rise to a primary obligation undertaken by the issuer analogous to a bank guarantee … In that case, the special principles of construction applicable to contracts of suretyship will not apply, since these are premised on the surety’s secondary liability. Letters of undertaking should be construed as commercial contracts having regard to their commercial purpose. The Court applied the interpretation that “is consistent with business common sense.” Of course, the parties took diametrically different positions as to what constituted business common sense. The Court then proceeded to weigh different factors in the LOU in the interpretation. The Court held that the “liberty to apply” in the letter of undertaking did not give owners the right to apply to the court to require the defendant P&I club to increase the amount of its undertaking. The Court accepted the club’s construction that this provision enables owners to arrest charterers’ assets if the security provided proves to be inadequate, and notwithstanding the prohibition against arrest or re-arrest provided for earlier in the instrument. The right to enforce an increase in the amount of the security lay against the charterers, and not against the P&I club direct. The owner of the vessel, Bruce Germain, and four others (including the complainant) had left Brewerton New York on the shore of Lake Oneida for an excursion on Mr. Germain’s 38 foot motor boat. Lake Oneida is connected to and part of the New York State Erie Canal System. Using the federal shipping lane, the five headed to the shallow Three Mile Bay, a popular spot for recreational swimming. The bay was less than a nautical mile from the shipping lane. On anchoring, the bay was already crowded with other boats. Later, as they were preparing to leave, the claimant back flipped off the port side of the vessel into the water striking his head on the lake floor. The complainant suffered a serious spinal cord injury. At issue was whether a recreational injury occurring on a recreational vessel anchored in a shallow recreational bay of navigable waters could meet the test the Supreme Court had set out in 1972 for admiralty jurisdiction. In addition the Court of Appeal had to consider whether the matter met the “modern test” for admiralty tort jurisdiction: Could the activity disrupt maritime commerce and did it bear sufficient relationship to traditional maritime activity? The Court of Appeals articulated the Supreme Court’s instruction that “ordinarily” “every tort involving a vessel on navigable waters falls within the scope of admiralty jurisdiction.” Jerome B. Grubart Inc. v. Great Lakes Dredge & Dock Co. 513 U.S. 527, 543 (1995). The Appeals Court reviewed the history of admiralty jurisdiction and the “modern test” and found that a passenger who jumped from a vessel onto open navigable waters has a “more than fanciful potential to disrupt maritime commerce.” In addition, the Second Circuit stated that Germain’s maritime activity was the transport and care of passengers onboard of a vessel on navigable waters, which constituted a substantial relationship to traditional maritime activity. (*2) In Re Petition of Bruce Germain 15-665 issued June 1, 2016.